Happy happy Friday! I don't know about you all, but I am sure glad it is the weekend! Since it is my favorite day of the week, I thought I would share with you some of my favorite things as of late. 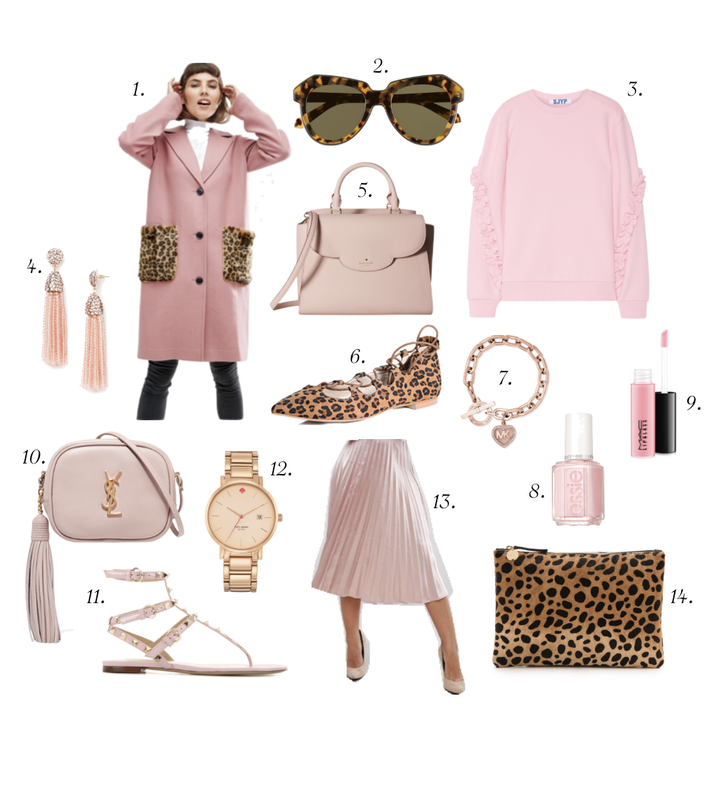 Since I can't wait for spring and Valentines I have been loving everything blush and leopard print; which is perfect for the season. I have been dying to have everything pink up in our house, especially pink roses. Send all the conversation hearts, flowers, pink things and cinnamon candies my way. I'll gladly be yours! Hope this sends some spring or Valentine's inspiration your way. With the way the Utah snow is dumping on us I don't think we will be having blossoms any time soon...a girl can dream.